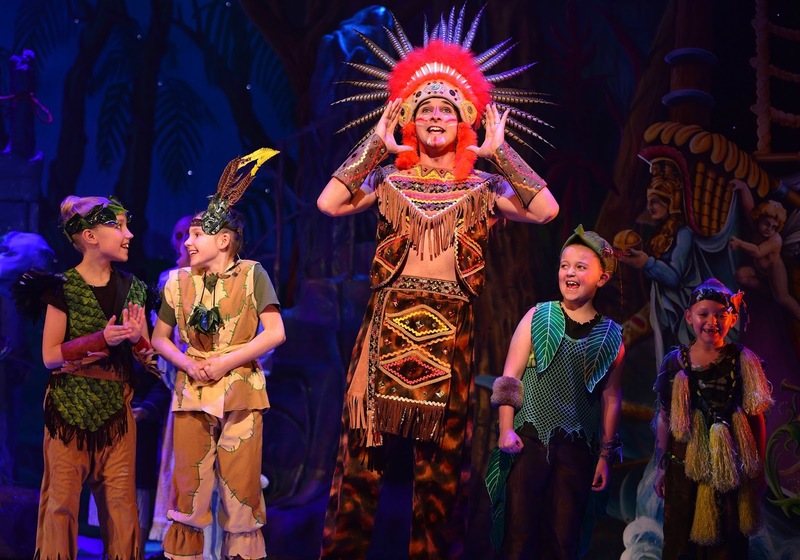 It has been many years since I last went to the Pantomime so when the Newcastle Theatre Royal invited me to review their 2017 Pantomime, Peter Pan - The High Flying Pantomime Adventure I had to say yes! As a grownup (allegedly!) with no children I guess that it comes as no surprise that attending the local Panto doesn't tend to feature in our Christmas plans. However I have secretly been wanting to go for years. I have nothing but fond memories of my panto days as a kid - screaming "HE'S BEHIND YOU" and having a good sing song. Going to the Pantomime was always the start of Christmas in our family. So why on earth shouldn't I recapture the magic Christmas of my childhood with a trip to the Panto? I was interested to see if the Newcastle Theatre Royal Pantomime would be a good evening out with a girlfriend so took my lovely friend Sarah along for a trip down memory lane. 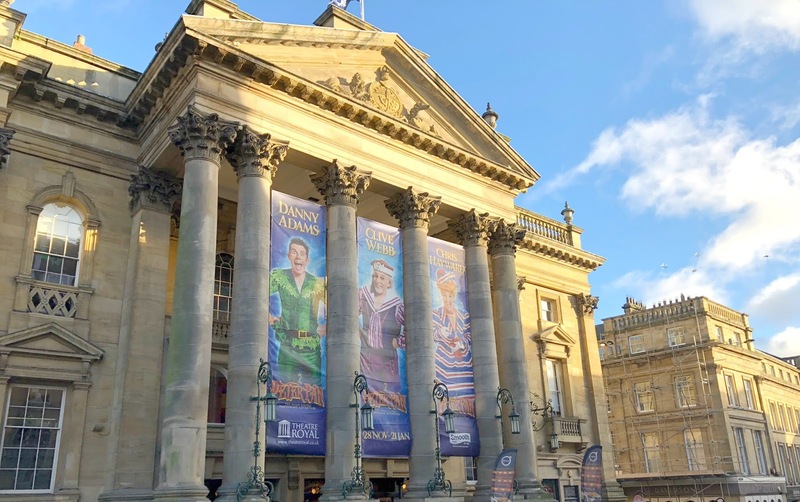 This year's Pantomime at the Theatre Royal has been record breaking with an amazing 80,000 tickets sold by mid November, it seems everyone in Newcastle will be heading to Peter Pan - The High Flying Pantomime Adventure, so I was thrilled that this year I would be one of them. I will admit that I knew nothing about this year's Panto stars before going to see Peter Pan, in fact I was secretly sad that there were no 90s pop stars appearing (I love that I'm now at the age that my childhood idols are doing panto!) 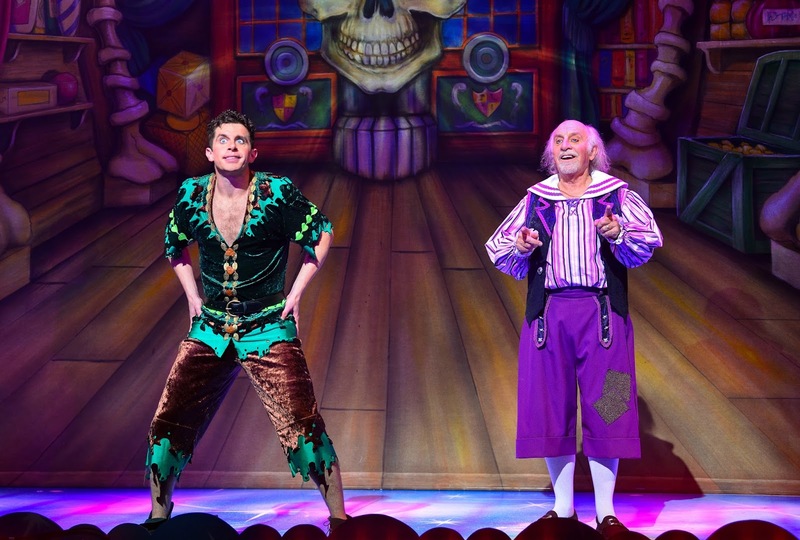 This year's Pantomime stars father and son duo Danny Adams and Clive Web who are hugely popular at the Newcastle Theatre Royal Panto, in fact 2017 is their thirteenth consecutive year doing the show. I wasn't sure what to expect from the duo, and I was a little worried that their style of slapstick routine wouldn't really be my cup of tea. I was kinda expecting non stop toilet humour to amuse the kids that would leave me cringing in my seat. From the moment the curtains lifted and Clive as Smee and Danny as Peter appeared on stage I was completely mesmerised by their performance. Full of energy, fantastic comedic timing and very likeable characters their performance definitely appealed to children and adults alike. In fact it was only moments into the show that I had my first belly laugh as Peter Pan flew onto stage with absolutely no grace, pulling down half of the stage lighting rig with him! Hilarious! 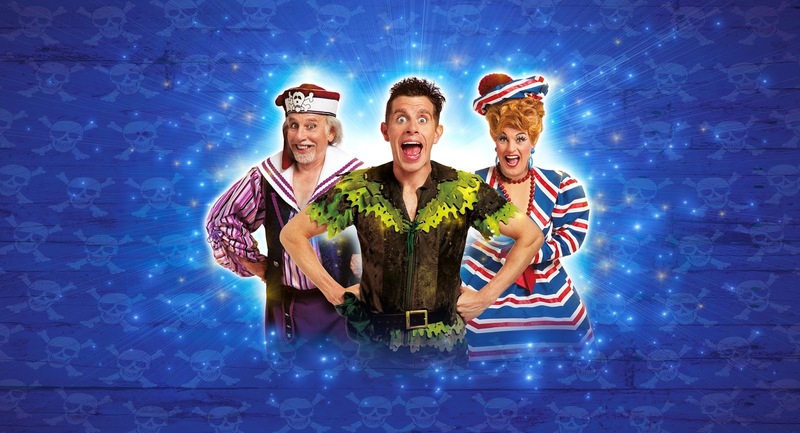 I'd hate to make myself sound like a misery but it's not easy to make me laugh, I'm not the kind of person who sits in the theatre rolling about in the aisles in stitches yet Peter Pan at the Newcastle Theatre Royal made me roar with laughter on more than one occasion. There are so many funny adult jokes that manage to go over the childrens' heads and there's a fantastic moment towards the end when some Dads get called up on stage to join in a sketch that had the whole theatre giggling. Enjoying Panto as an adult only really works if you leave any embarrassment at the door and are prepared to fully embrace your inner child. I would recommend going with a close friend who has a sense of humour and loves getting involved in a good sing along. My friend Sarah was the ideal Panto companion, just as excited as the children around us, she fully embraced the magic and definitely encouraged me to join in. We were screaming BOOOOO just as loudly as any of the children, and the thing that I loved most about the Pantomime was that everyone around us was joining in. Having not been to a Pantomime since the 80s (where has the time gone!) things have most certainly changed. The staging at the Newcastle Theatre Royal is seriously impressive with fantastic sets, breathtaking illusions and impressive graphics that are West End show level (just wait until you see the amazing crocodile!) 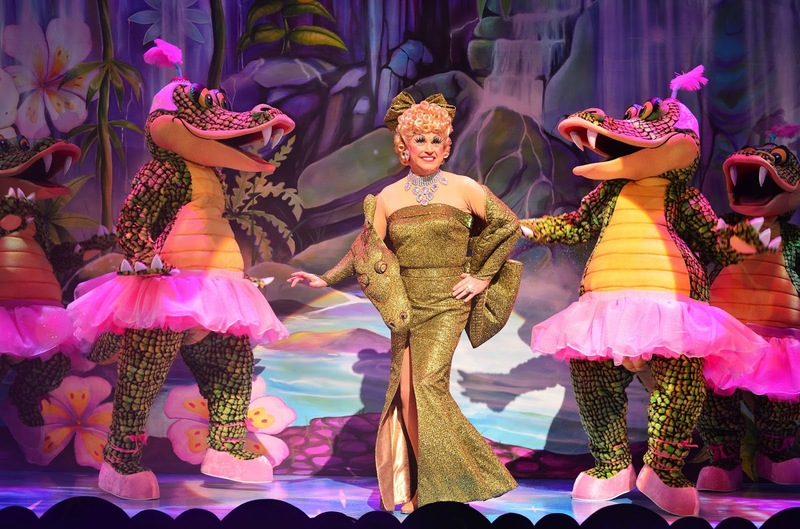 yet it never lost that all important sprinkling of Panto magic - a dame with an impressive wardrobe (played brilliantly by Chris Hayward), plenty of glitter, catchy songs and the all important audience interaction. My favourite parts of the show had to be the impressive acrobatic performances from The Timbuktu Tumblers and Sascha Williams and Stephanie Nock who had me hiding behind my hands with their amazingly dangerous stunts. There were gasps from the audience each time a stunt reached its dramatic end and I could honestly have watched their performances for hours. Do you know what I loved most about the Newcastle Theatre Royal Panto though? It was how happy it made me to be an honorary Geordie. I've never seen a show that made me so proud to live in this amazing city. The atmosphere in the auditorium was amazing, with so many returning performers on the stage there were so many Geordie inspired jokes and catchphrases especially included for those that return to the Panto year after year. It was like being part of a giant secret club, siting in a room full of people who all get the private joke! Amazing! We don't care about ex soap stars and we're not bothered about old pop stars - we just don't need them! 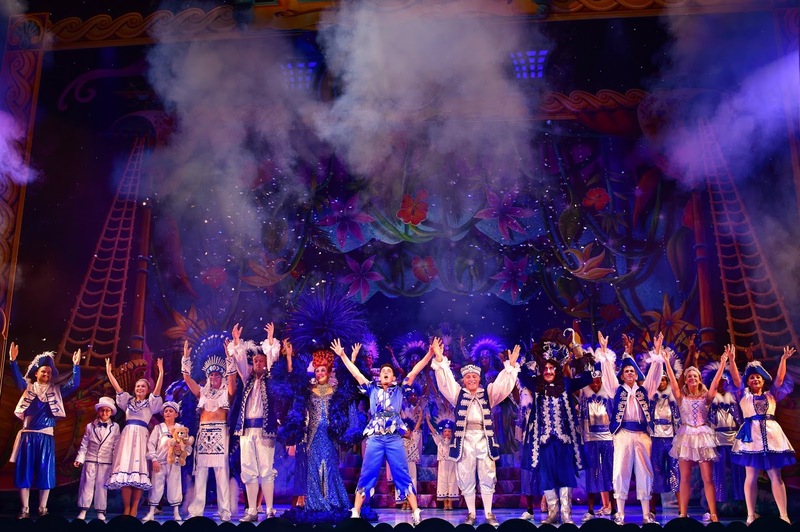 There are so many stars on that stage and although you may not have seen them on TV or in the pages of the tabloid magazines they are the true stars of Panto season. In fact when a small boy sitting a few rows from the front decided to do a spot of heckling at the beginning of the show I realised how important these performers are to Geordie panto history. As Peter appeared on stage and yelled out to the crowd "you know who I am don't you boys and girls"; he replied in a very clear voice "Yes, you're Danny Adams!" Much loved, it seems Danny and Clive are as much a part of a Geordie Christmas as mince pies and presents! Only yesterday as I was strolling round the supermarket doing the weekly shop I found myself singing "Digging here, digging there, digging pansies everywhere" .. what on earth is that? Then I realised songs from the Pantomime were stuck in my head, and that, just goes to show how much I enjoyed the show and how much I've been thinking about it ever since. I am so happy that I've finally seen the Newcastle Theatre Royal Pantomime and am so jealous of those of you who are yet to see it! There's no doubt in my mind that the Panto will now be a Christmas tradition for me. If you've seen the Newcastle Theatre Royal Pantomime let me know your favourite parts! Please tell me I'm not the only person with ridiculous songs stuck in my head! 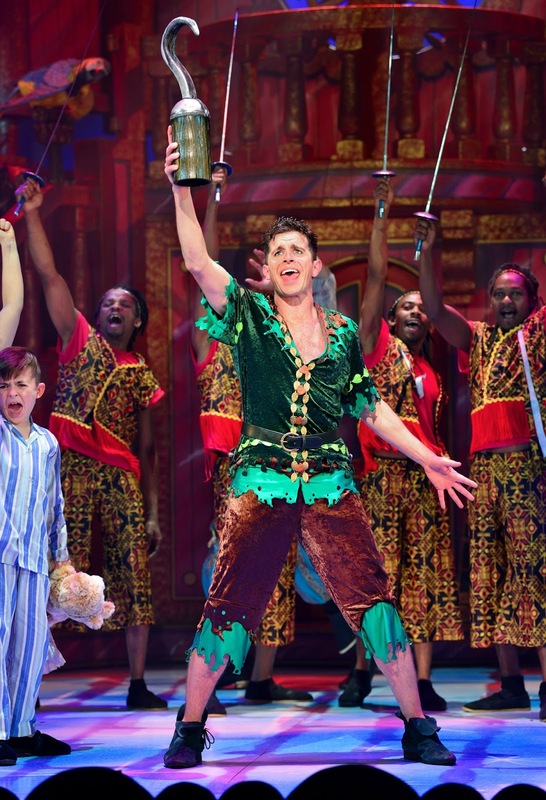 Peter Pan at the Newcastle Theatre Royal is on until 21 January 2018, there are still tickets available here, but don't hang about! For plenty more Christmas inspiration make sure you're following New Girl in Toon on Facebook and Instagram. We attended the Pantomime on Press Night and received complimentary tickets for review purposes.